Easy recipe for a quick nutritious dinner! The sauce main greens ingredient is spinach which is loaded with iron, anti oxidants and vitamins! 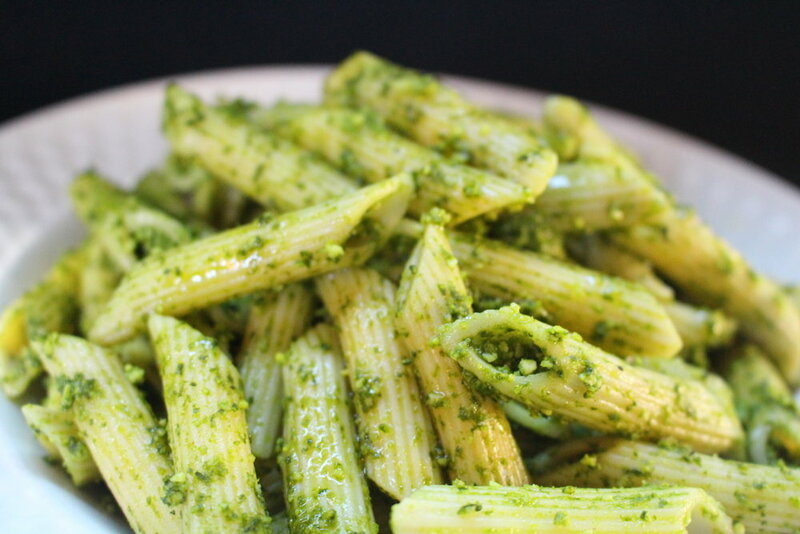 Combined with cashew nuts, olive oil and garlic, creates the perfect creamy pesto. Another guilt free sauce that your kids will love! You can prepare a jar of the sauce ahead of time and keep in the fridge for a few days. In a food processor add all of the ingredients except the olive oil. Start mixing and slowly pour the olive oil to the food processor from the top, while working so that it can incorporate and get to a smooth texture. Pour the sauce over the pasta, mix and serve.